ALBA Driving School is a well established driving school based in Brighton East Sussex and we offer driver training. We are specialised in driving industry providing learner and driver training. 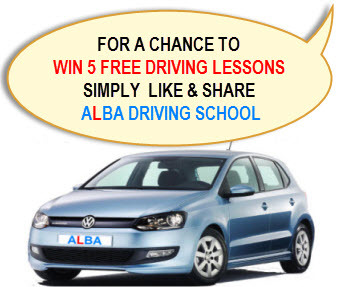 ALBA is one of the best driving schools in the Country. ALBA always strives to keep up to date with the latest information and changes in the driving instruction industry and for your peace of mind we have recently undertaken and passed an Enhanced Criminal Records Bureau check. Most importantly though, we are friendly, professional and have a calm, relaxed style of teaching. We train all kind of people from 17 to 75 years old people, complete beginners, nervous pupils, we also offer training in other languages Albanian, Italian, Greek, company car drivers, advanced drivers and even other people wanting to become driving instructors.